Boulevard Banners – also sometimes referred to as ‘Avenue Banners’, ‘Street Banners’, or ‘Pole Banners’- are a high visibility way to promote an entertainment venue, community or cultural event or civic occasion. They are also popular with municipalities for seasonal and holiday decorating. 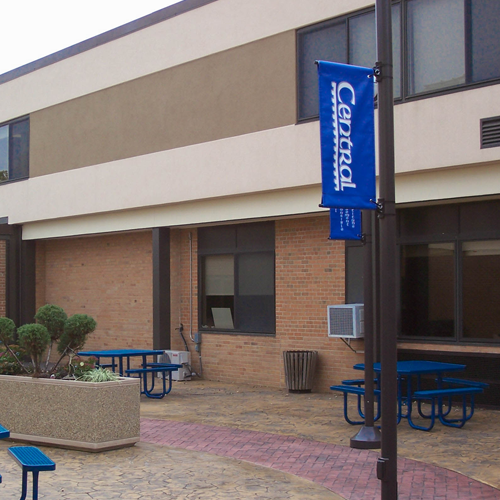 Boulevard banners are typically hung from lamp posts or large pillars, well above street level, along a town or city’s major sidewalks and thoroughfares. 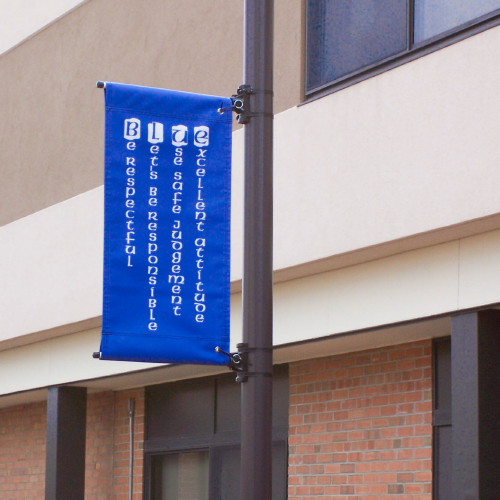 Pockets sewn at the top and the bottom of each banner allow them to slide over bracket assemblies affixed to the poles or buildings. We not only print boulevard banners, but we also carry all of the hardware necessary for installation. Our state-of-the-art digital banner printing process makes our boulevard banners much less expensive than old-fashioned screen printed banners. And, with digital printing technology, each banner in a series can be different or have variations in design! Our eye-catching boulevard banners are constructed from durable acrylic fabric sewn with double-needle lock-stitching for added strength –with double rolled pole pockets that are designed to keep your banners taut and smooth no matter what the weather. 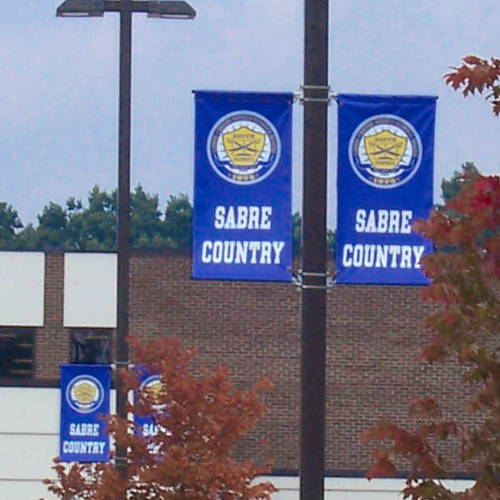 If your municipality, theatre, business, school or civic organization is considering boulevard banners, give our talented design and printing team a call. We will create affordable, eye-catching boulevard banners for you that raise awareness of your message and look beautiful in your community.